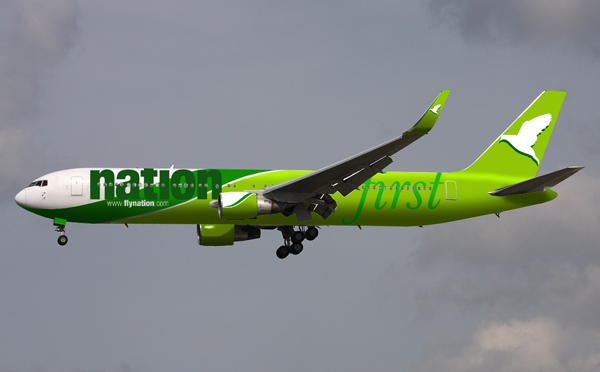 • The African Aviation Tribune •: ►► NIGERIA: FirstNation Airways set to lease an A319 from the ILFC. The aircraft is currently in Dublin, Ireland and is due to be painted into First Nation's colours at some stage in the near future. No specific date for the carrier's resumption of services is yet known. The carrier suspended flights in June which was followed by the subsequent repossession, in October, of three Airbus A320s by their owners, the US-based Aviation Capital Group. [UPDATE 28 DECEMBER] According to the Aviation Nigeria blog, a second A319-100 (MSN 660 | 5N-FNE) was painted in FirstNation Airways' colours in Dublin and named 'Faith'.